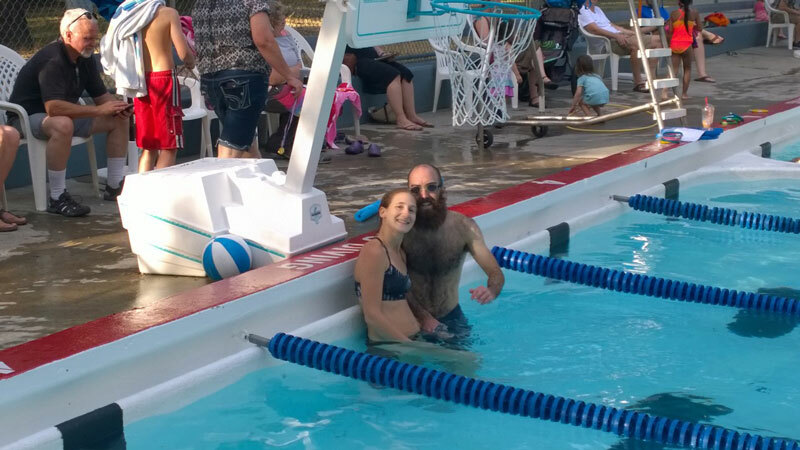 Everyone loves Pier Pool — though this picture is not from a typical swim lesson. FREE learn to swim “week” is Tuesday – Friday, June 19th – June 22nd at Pier Pool. Register in person on Saturday, June 16th, between 8:00 a.m. and 11:00 a.m. Sponsored by Portland Parks & Recreation, anybody three years old or older qualifies for four free swim lessons for beginners. Classes are available mornings, afternoons, and evenings on a first come, first serve basis. Additional beginner, intermediate and advanced classes are also available throughout the summer at an additional cost. Scholarships are available for families in need of assistance. For more information 503-823-5130. Link to summer Pier Pool schedule. Do you know why the weekend hours for the Pier Pool are so limited? Seems counter intuitive that weekdays would offer longer pool hours than the weekend days. It is such a nice pool and yet the resource seems very under utilized between the total time the pool up and running each summer and then limited access on the weekends. I wish I did have the answer to that. I recommend you contact Portland Parks directly or come to the Friends of Pier Park meeting to ask the Portland Park rep about it.